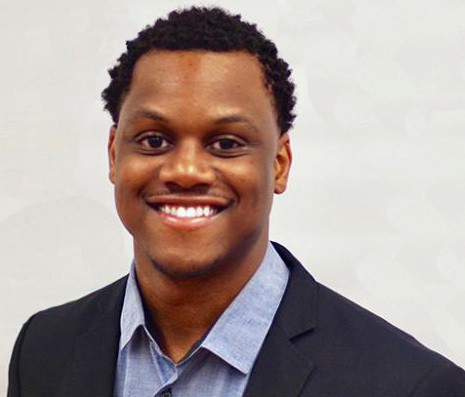 Jamal Lewis transitioned into a role as the Policy and Technical Assistance Specialist for GHHI, after completing a two-year fellowship with GHHI. Jamal is the lead for GHHI’s energy efficiency portfolio and also works on the organization’s National Lead Campaign to End Childhood Lead Poisoning in 5 Years. Jamal works with several jurisdictions around the country to help incorporate best practices into their energy efficiency and lead poisoning prevention programs and policies. He is one of the primary authors of GHHI’s Lead Funding and Financing Toolkit, an online tool that will help local governments explore new options for funding their lead programs, which will be released in the spring of 2019. In addition, Jamal is an active participant of both the Network for Energy, Water, and Health in Affordable Buildings (NEWHAB) and Energy Efficiency for All (EEFA) coalitions, where the goal is to increase the accessibility of clean and efficient energy resources for the low-income population. Through these groups, Jamal works to ensure that resident health is a key component of energy program design and implementation. He has co-authored three papers on energy efficiency: Energy Efficiency as Energy Justice: Addressing Racial Inequities through Investments in People and Places (Energy Efficiency Journal, 2019), De-weathering through Weatherization: A Conceptual Application of the Weathering Hypothesis to the Household Energy and Stress Nexus (ACEEE Summer Study on Energy Efficiency in Buildings, 2018), and Achieving Health and Social Equity through Housing: Understanding the Impact of Non-Energy Benefits in the United States (The Green & Healthy Homes Initiative, 2017). He was named one of the 2018 Linda Latham Scholars by the American Council for an Energy-Efficient Economy for showing promise in the energy efficiency field. Jamal has also conducted extensive research on the potential for healthy homes interventions to prevent in-home falls among older adults, both improving resident health and reducing the related healthcare costs. Jamal is dedicated to improving the health and well-being of vulnerable populations through fostering a healthier environment. Jamal graduated from the Columbia University Mailman School of Public Health’s Department of Environmental Health Sciences in May of 2018 with a certificate in Molecular Epidemiology and was recognized as one of the university’s top graduates in the 2018 graduating class.